On your arrival you'll find a member of the Trial Travel team ready and waiting to accompany you to your desired destination. And if you're headed to Capri, we offer packages including hydrofoil tickets! Our driver will wait for you at the arrival terminal holding a sign with the name you gave at the time of booking written on it. If you arrive by train, our driver will wait for you at the end of the platform. In your car you'll find drinking water, hand wipes and tourist magazines. Child seats and multilingual driver available on request. You can trust Trial Travel. Our customer service is ready and waiting to meet all your transportation needs. From Naples Capodichino airport or train stations, to all of the city's hotels and ports (Beverello, Calata di Massa and Mergellina) and vice-versa. Transfers from Naples Airport to all the hotels in Sorrento, on the Amalfi Coast (Positano and Amalfi), and in Rome and vice-versa. For transfers of bigger groups, we have vehicles large enough to accomodate up to 50 passengers. 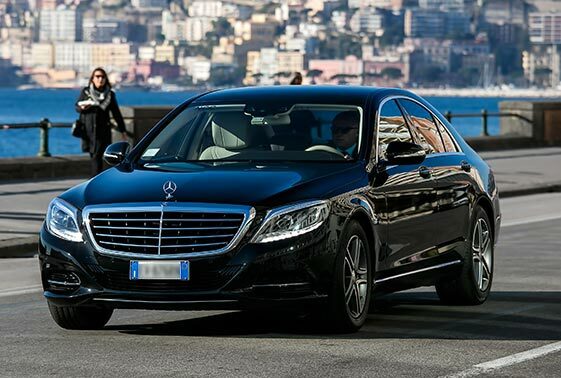 We provide transfers using only the most luxurious Mercedes-Benz vehicles. Spacious cars equipped with every modern comfort to make your journey as pleasant and enjoyable as possible. Each of our vehicles is insured for more than 25.000.000 Euro. 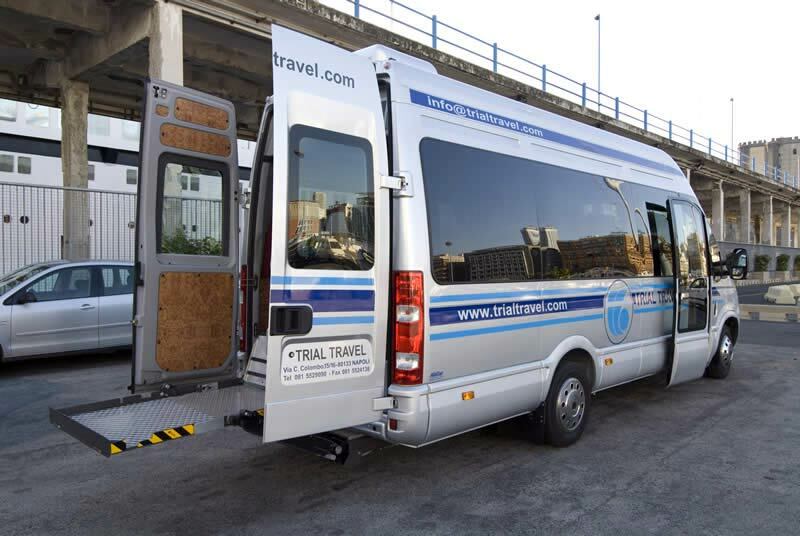 So that everybody can use our services, we have purchased a vehicle suitable for disabled passengers, complete with rear wheelchair ramp. Can I rent a car/minivan without driver? No, we do not offer this kind of service. Do you organize coach transfers? Yes, we have coaches for as many as 50 passengers. Do you charge for additional luggage? Yes, a supplement of 9 euro will be charged for each additional item of luggage. Can I book a guided tour? Of course! Of the many services we offer, our guided excursions of Italy's major cities and tourist attractions are amongst the most popular. How do I book a transfer? Send us an e-mail or use the form to book your transfer. 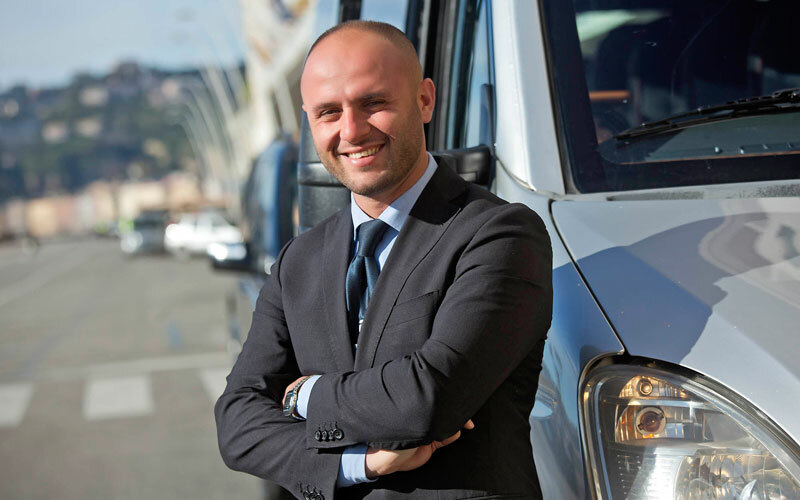 Do you provide transfers to the islands in the Bay of Naples? 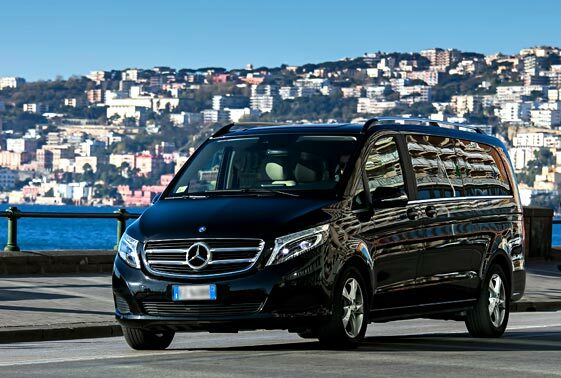 Yes, we offer a number of packages which include transfers to the islands of Capri, Ischia and Procida. What type of cars do you use for your tranfers? 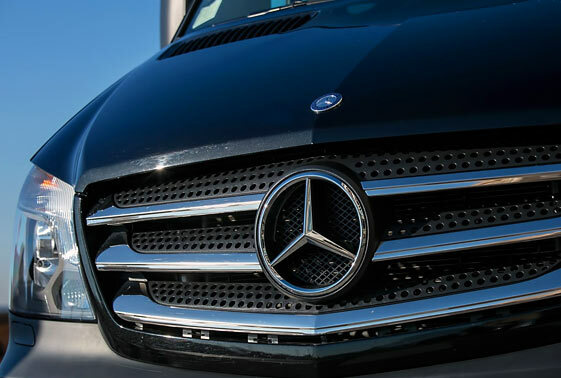 Our car pool is comprised exclusively of Mercedes Benz cars and minivans (Class E, S Series, Viano, Vito). Do your drivers speak English or other languages? Yes, the majority of our drivers speak more than one foreign language. 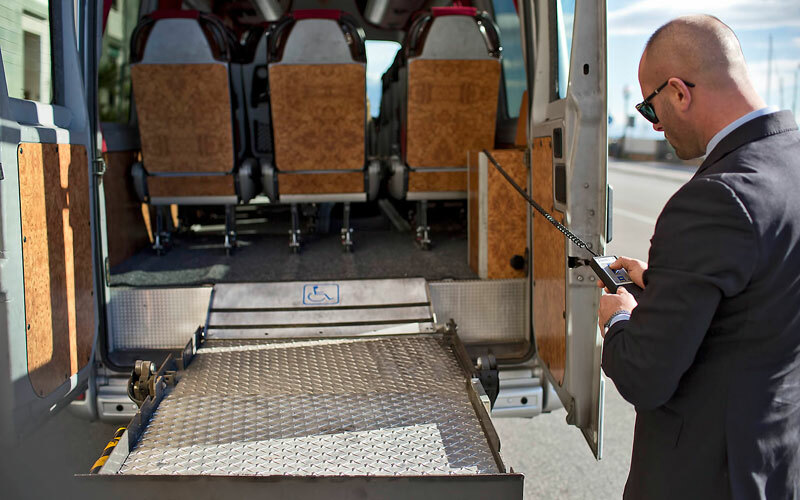 You can specify the language you would like your driver to speak when you make your booking. Will you charge if I have to cancel my booking? If you cancel your car at least 24 hours before the scheduled time of the service, no charge will be made. Where will your driver wait for me when I arrive at the airport? A multilingual assistant or your driver will wait for you at your flight's arrival gate, holding a card with your name written on it. Where will your driver wait for me at the train station? Our driver will wait for you at the end of the train platform, holding a card with your name written on it. Do you have a number I can call in case of emergency? Yes, you can call +39 348 4924555 24hrs a day, 7 days a week .